For 2018 our verse for the year is John 15 v 5. 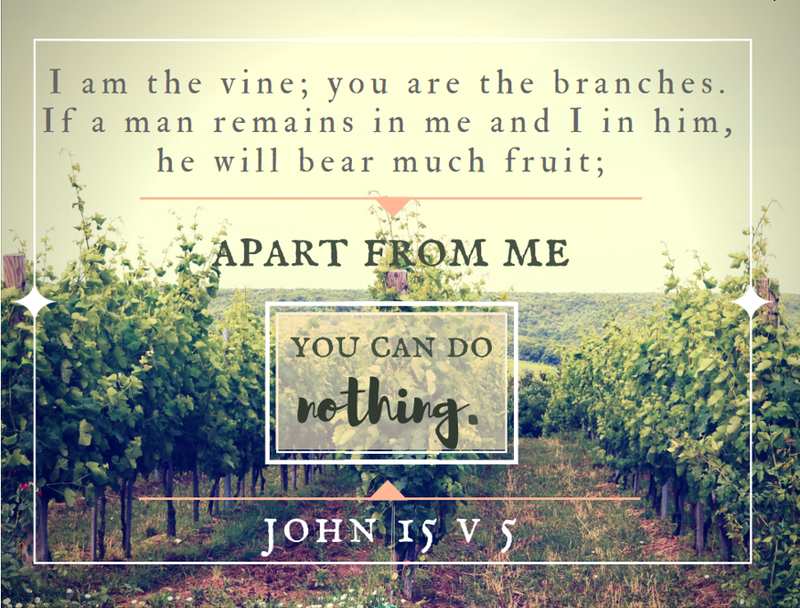 Click below to hear John explain that it as the branches we can do nothing without Jesus, the true vine. For 2017 we chose Isaiah 40:31. 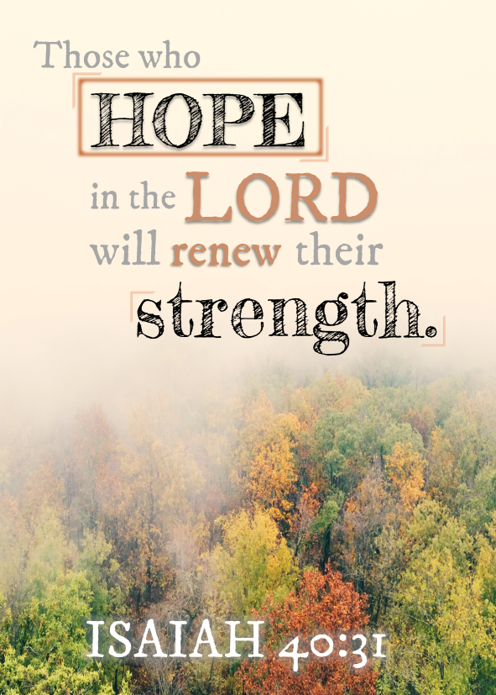 Click below to hear our Pastor Gary explain how in spite of the various situations of life we find renewed strength when we hope in the Lord. For 2016 we chose Hebrews 12:2. Click below to listen to our pastor Gary as he explains this verse and shares how we can use it as we focus on living for God.